Access Profiles, Inc.: How You Can Use Your Small Business to "Pay it Forward"! How You Can Use Your Small Business to "Pay it Forward"! is one of the Core Values of our business. while still working on our own. 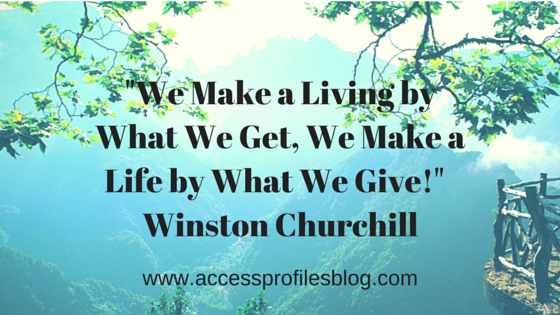 These words from Winston Churchill speak to me. I have found that the greatest way to realize success myself is to help others achieve theirs. While I believe many of us feel this way, we are simply not sure where to begin. 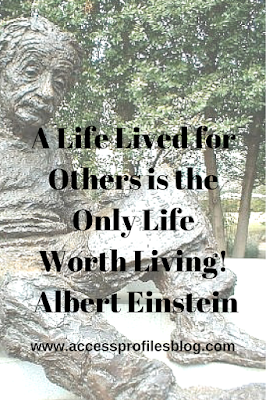 We find it easy to “pay it forward” within your own circle of family and friends. But how can we take it beyond our “inner circle” and truly make a difference? I put this question to myself and found a path that works for me. I decided to focus my efforts on helping other small business owners. 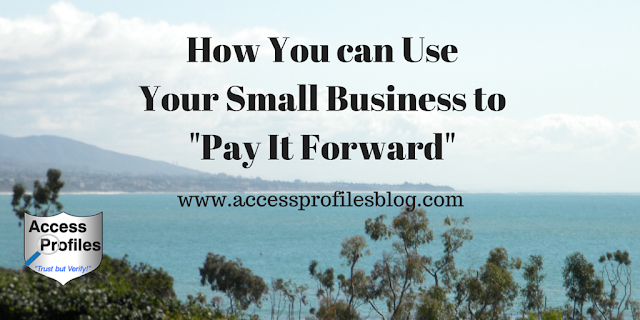 Use Your Small Business to start a "Pay it Forward" Cycle of Success! "Tweet This"
I started my path towards "Paying it Forward" in small ways. I actively “liked”, commented, and shared the posts and blogs of others through Facebook, LinkedIn, and Pinterest. In this way I was able to help others find the engagement and audience they needed to get the word out about what they do. I continue to try and do this daily. This is a very easy step, but can really make a difference. I also am “buying small” more often. I have purchased jewelry, soaps, and greeting cards through small businesses both online and in my neighborhood. Then I make sure to put a review on their company page or website, and also share it on my own page to let others know of my experience. 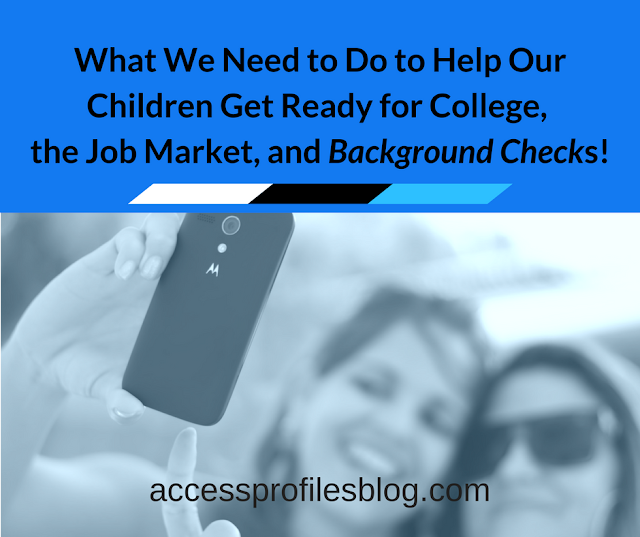 Besides helping these businesses, I have found some great new products this way! I post other articles and interesting blogs on directly on my social sites. I search for articles within my social network connections and make sure to feature them. To get more traffic to their blog/site, I also share what I post in as many of my groups as possible. I often use quotes from other small business owners in my blog articles. 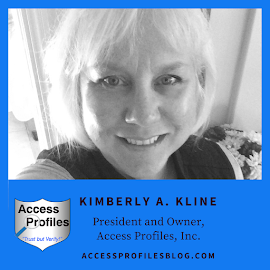 My goal is to help promote their business by letting others know a little more about who they are and what they do. I also joined a local Small Business Networking group. We share ideas and help each other reach our goals. to help other Small Businesses any way I can. Selfishly, I have found I love it! This doesn’t mean I don’t focus on the success of my own business, but I find that wanting to “pay it forward” to others and my own goals need not be mutually exclusive! And I certainly get a lot of personal satisfaction in seeing others achieve their goals. Quite simply, that is what being a part of the Small Business community is all about! And, for me, that makes the most sense of all! 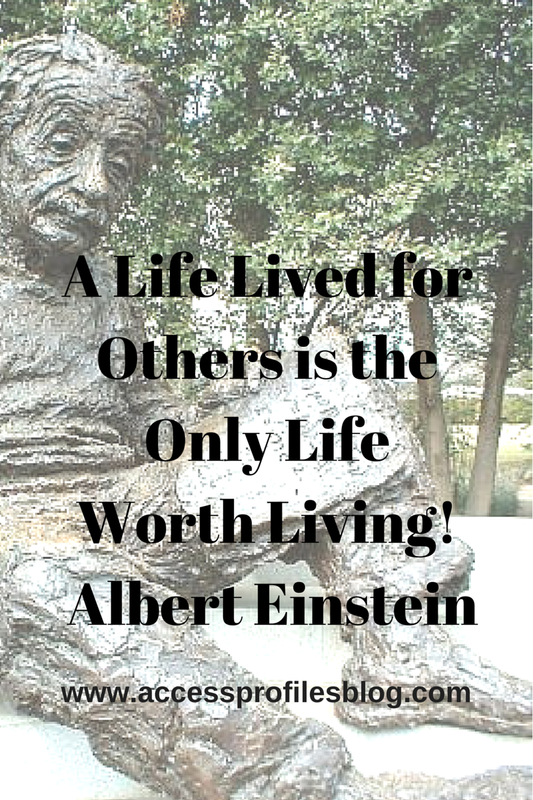 Please Help keep the "Pay it Forward" cycle going and share our article! about You and Your Small Business! Thanks! We can help you with your Small Business! Contact Us Now. your Hiring, Small Business, & Security needs! And visit our About Us page to find out more about our mission too!